The recent concerted efforts by veterans of Zimbabwe's 1960s and 70s liberation struggle to raise the presidential age limit from the current 40 years to 52 years, raises very pertinent questions as to the reasoning behind this move. The reason these war veterans - who are aligned to the ruling ZANU PF party - have proffered for the proposed constitutional amendment has been that, someone below the age of 52 years of age is not 'mature enough to fully grasp the gravity of what it means to run a country'. The first thing that immediately came to my mind, when I heard of this proposal, was what scientific means did these war veterans use to come up with such a precise age as 52 years? How did they deduce that the age of 52 years was exactly when someone would be 'mature enough to fully grasp the gravity of what it means to run a country'? I tried my utmost to research this supposed hypothesis, but everytime hit a brick wall, as there has never been any credible scientific studies and conclusion - anywhere in the world - to that effect. If we are to take these war veterans' unscientific and gutter supposition that anyone below the age of 52 years is not mature enough to run a country, then we can also rightfully conclude that these same war veterans believed that their commander during the liberation struggle - the late General Josiah Magama Tongogara, who was 41 years when he was tragically killed in a dubious accident on 26 December 1979 - was also not 'mature enough to fully grasp the gravity of what it means to run a country'. Considering what we have learnt about this giant figure - both physically and in gallantry - it would be such an insult that these war veterans, who were under his command, would regard his age as an indication that he would not be fit for the highest office on the land. 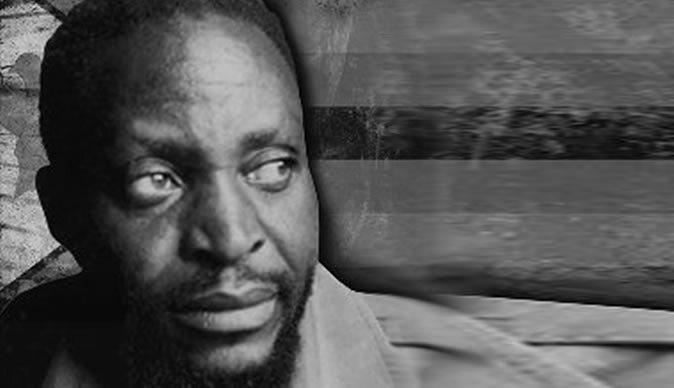 As much as Tongogara himself never expressed an interest in the position - but, hypothetically, what does it mean when his former charges actually regard him as having been too immature to lead this country - yet, he was mature enough to lead a very successful military campaign against our erstwhile colonial masters. Thus, my next question is: 'why then would these war veterans push so much for the presidential age limit to be increased from 40 years - which is globally acceptable - to 52 years', if there is no scientific justification? To target a potential rival! It is an open secret that the opposition MDC Alliance's Nelson Chamisa - who is 40 years old - gave Zimbabwe president Emmerson Dambudzo Mnangagwa a run for his money in the 31 July 2018 elections. In fact, the paltry 50.6% win by Mnangagwa announced by the Zimbabwe Electoral Commission (ZEC), and subsequently endorsed by the Constitutional Court, is still being rigorously challenged by the MDC Alliance, as they still believe that their presidential candidate, Chamisa, won the presidential election. Therefore, considering that there is no credible scientific reasoning behind the concerted push for the increase in the presidential age limit, the war veterans - and by extension ZANU PF - are seeking to prevent Chamisa from challenging their candidates in the forthcoming elections in 2023 and 2028 - when he would be 45 and 50 years old respectively. The next question that demands an answer is: 'should a country's laws, especially the constitution, be tampered with just to serve selfish individual ambitions'? A country's constitution is its 'spirit and soul', and for any particular group or individual to manipulate it merely to achieve shallow myopic ends, is the lowest that a country can get. No democracy can survive when its constitution becomes the plaything for those in power. If ever there is any 'safety harness' for any country to prevent it from falling into complete chaos and mayhem, its constitution its that safeguard. Thus, if we are to entertain the brazen abuse of this sacred law to settle political grudges, then we are doomed, not only as a democracy, but as a nation. What is to happen, let us say, ZANU PF were to annoit a 25 year old to be its presidential candidate sometime in the future? We amend the constitution today to raise the presidential age limit to 52 years - so as to prevent Chamisa from contesting, sighting immaturity - then, tommorow we again amend the constitution to lower the age limit to 20 years - so as to accommodate the anointee! What would be the reasoning then? In Shona they say, 'ndiko kutamba nemadhaka pasina mvura'. If the nation allows for this constitutional amendment to proceed, we would be setting a very bad and dangerous precedence for our country. This would enable future tyrants to even amend the constitution to declare themselves 'Life Presidents', or the enacting of even more sinister laws. Why is ZANU PF so scared of Chamisa as to make such a dangerous undertaking? Did the Mnangagwa regime - soon after the November 2017 military coup - not tell the nation and the world that they were a 'new dispensation', and would ensure that the tenets of democracy were respected and upheld? Abusing a two thirds majority in parliament to prevent an opponent from challenging the ruling party is far from being democratic. One would have expected ZANU PF to use its two thirds majority to align the country's laws to the current constitution - not bastardising it. Over the past two months, Zimbabwe's economy has been in a freefall - as such, would it not make more sense using that two thirds majority in enacting laws to improve the lives of ordinary people who have endured insufferable pain for the past two decades. Surely, of all the problems facing Zimbabwe - such as, lack of foreign currency, shortage of medication, the tripling of prices of basic commodities, schools fees and uniforms, non-payment of salaries to most workers, amongst a host of issues - why would ZANU PF consider preventing Chamisa from contesting the next two presidential elections to be of such great significance, so as to amend the constitution? Are these not the same people - soon after the 31 July elections - who announced that the nation now had to move ahead and put politics aside and prioritize the economy? So why this push for the amendment of the constitution based on the fear of losing an election - in a country that supposedly upholds democratic tenets? If ZANU PF truly believes that Chamisa is not 'mature enough to fully grasp the gravity of what it means to run a country', then that is a matter for the election campaign period - and, in no way, does it justify the manipulation of the country's supreme law. If ZANU PF is not confident enough that they can actually convince the electorate during the election campaign period that their opponent is unfit for office - but, resorts to the tampering of the country's sacred constitution for protection - then, maybe it is ZANU PF itself that is not 'mature enough to fully grasp the gravity of what it means to run a country'. Tendai Ruben Mbofana is a social justice activist, writer, author, and speaker. He is the Programmes Director with the Zimbabwe Network for Social Justice (ZimJustice). Please feel free to call/WhatsApp: +263715667700, or call ONLY: +263782283975, or email: zimjustice@gmail.com. Please also 'Like' the 'ZimJustice' page on Facebook.